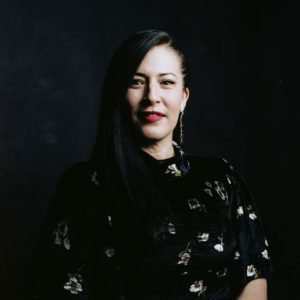 American poet Ada Limón, winner of the 2019 National Book Critics Circle award for Poetry for her collection The Carrying. Photo Credit: National Book Critics Circle. unfurling like a fist to an open palm, I’ll take it all. This must be, for me, Ada Limón’s month – April! I featured her and the poem above included in her collection The Carrying during National Poetry Month last April. But now March is her month as well since it was the month when she won the U.S.-based 2019 National Book Critics Circle award for poetry for The Carrying. A huge accomplishment for any American writer. To read my post from last April please click here. “Ah, spring. A late one here in the Cowichan Valley but spring nonetheless. So many spring poems it’s hard to write one that seems fresh and unexpected. After all, Spring and All, the 1923 book and poem by William Carlos Williams are looming presences still, after almost one hundred years. And yet, Ada Limón has pulled off a cliché-busting spring poem. And its intrigue for me begins with the title, no spring in sight! Limón, who just turned forty-two, has become a rising force in American poetics after her 2015 book Bright Dead Things was a finalist for two of the top U.S. poetry awards. Just try reading the first lines of Limón’s poem out loud. It’s not easy. Challenging line breaks that create a sense of disorientation, a breaking of regular rhythms, that reflect the confusion and disorientation suggested by the poem’s title: Instructions on Not Giving Up. And the disruption that spring is! Here, this year another late Spring. yes, the cherry blossoms are doing their extravagant thing but the leaves are only now beginning to show on the other trees and shrubs. Nothing showy but the green skin is coming in! A lovely reminder from the winter of grief that has not yet released me. The death of Andy Parker, poet/priest this past December and Patrick Lane almost a month ago. Thank you Ada: this reminder! I’ll take it all. This entry was written by Richard Osler, posted on April 2, 2019 at 7:50 pm, filed under General and tagged Ada Limón. Bookmark the permalink. Follow any comments here with the RSS feed for this post.